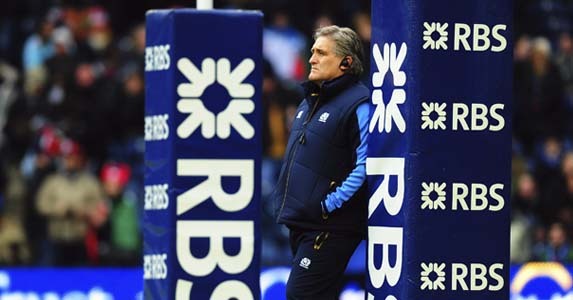 Focus on Scotland: Coaching vacancy up for grabs? Decision time: Rumours abound that Scott Johnson is attracting interest Down Under but will he choose Scotland? THERE IS a coaching job available. There is no velvet rope cordoning-off the hot seat and there is not a flashy pop-up spamming every ambitious coach around, but there is a job there for anyone willing to fight for it. A little more clarity, we are not talking about the Ireland job. While knickers are untwisted, Irish fans can be assured that nothing will be made of Jake White of the Brumbies talking and Ewen McKenzie of the Queensland Reds beaming in with an audition tape for the role. 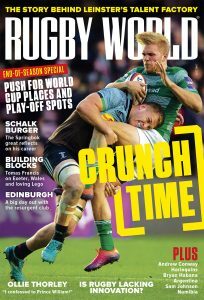 McKenzie is certainly an option for the international post and Leinster’s own Joe Schmidt is much coveted – indeed his own captain Leo Cullen admitted he would be good for the post, recently – and he is due to talk with the IRFU. Ireland, it seems, have plenty of suitors. However, it is interesting to note that not one of these men have ever declared an interest, publicly and strongly, for the Scotland job. Schmidt, in fairness, is strongly engrained in the Irish game. He would be the popular choice anyway, maybe not the ‘people’s choice’ yet, but not far from it. Yet it must be questioned: what happens to McKenzie if he is knocked back? Does he fade into the ether, or does he shuffle apologetically to the back of the seemingly short queue for the Scotland job, trying to pretend that it was a top choice all along and not the hairy-knuckled bridesmaid to an emerald bride? 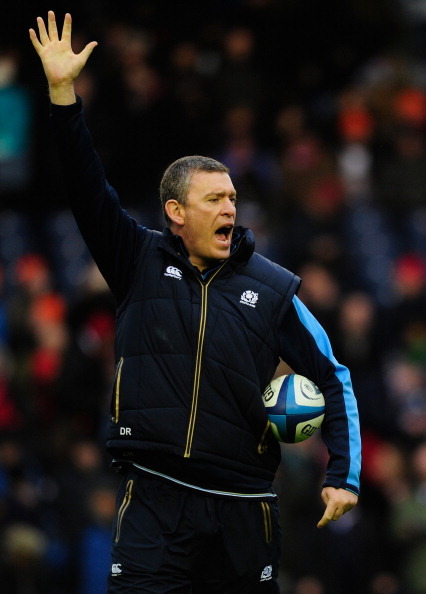 The problem is that nothing can be said about the Scotland job until after caretaker coach Scott Johnson’s sit-down with the boss, CEO Mark Dodson. The matter is cloudy in uncertainty and not helped with news from the south signalling that Johnson may be a wanted man on his own shores. 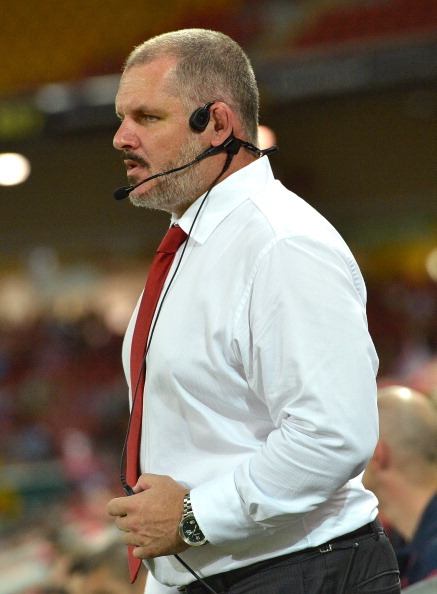 People in the know down under suggest that the ARU may come a-courtin’ and with the Melbourne Rebels coach already told he will have to re-interview for his own post next season and with McKenzie jumping from the Reds ship, there are options opening up for Johnson to make his glorious return south. Perhaps professional courtesy is, rather surprisingly, preventing two coaches who are known to be fond of donning a tie and presenting themselves to board members from flirting with the SRU. Perhaps they are unwilling to tread on Johnson’s toes; affording him time and space to meet Dodson without external pressures. Perhaps we should cast our eyes skyward and wait for the swine to fly. Ambition would mean that any coach desperate to break into the international scene would have no qualms with getting in touch, but there are other ways of going about it instead of just facing down a camera and saying that you want a job. It would not suit Scotland to throw names about at this point anyway. Johnson may have added a few pounds to any prospective contract thanks to the talk from Australia about him, and the rumours of jobs within the ARU are widely expected to be true. However, if he does go, Scotland have to be wise with their process. It hasn’t gone unnoticed that Dean Ryan had absolutely no interest in being anything other than an interim forwards coach with Scotland – something made clear from the start and protected as he rarely ventured out into the Scottish glare – yet he is more than happy to throw his lot in with perennial Premiership strugglers Worcester Warriors. If Johnson left there would be a need to start again. The last 6 Nations would be rendered almost completely irrelevant, bar nodding to the public morale engendered by improved performances. Systems and staff would be completely overhauled again. The silence may be telling. Dodson and his rugby advisors have to pitch to Johnson, rather than the other way around. If that falls through they have to wait for the fall-out of the Irish wrangling. If Johnson goes and Schmidt is holding up a green jersey for the cameras at the Aviva Stadium, Murrayfield will become a place of action. Somewhere in the bowels of the ground Scotland defence coach Matt Taylor, formerly a Red staffer, will be sitting in a hot seat of his own in front of a computer, frantically trying to find Ewen McKenzie’s Skype address.